This talk at TED 2015 really impressed me. Bamboo is not the easiest wood to work with but when you see what people can do with it, it’s incredible. This talk by Elora Hardy shows the potential of making beautiful structures from some of the fastest growing material in the world. You’ve never seen buildings like this. 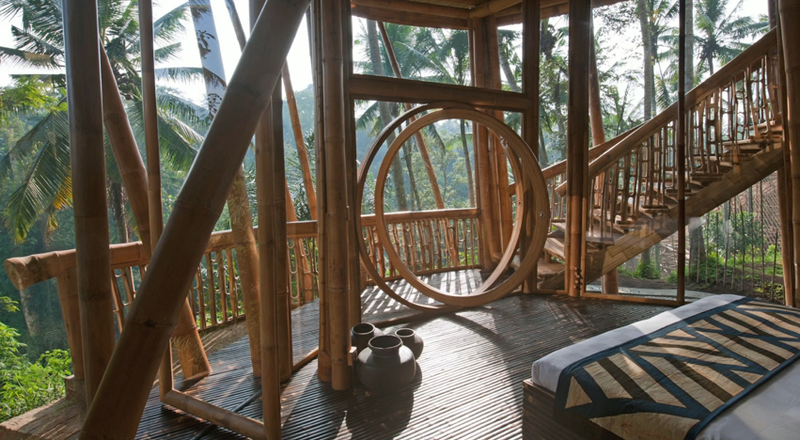 The stunning bamboo homes built by Elora Hardy and her team in Bali twist, curve and surprise at every turn. They defy convention because the bamboo itself is so enigmatic. No two poles of bamboo are alike, so every home, bridge and bathroom is exquisitely unique. In this beautiful, immersive talk, she shares the potential of bamboo, as both a sustainable resource and a spark for the imagination. “We have had to invent our own rules,” she says.